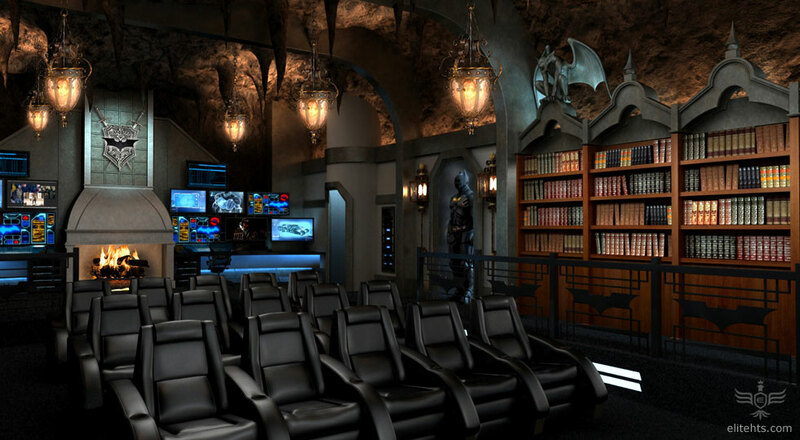 To the Batcave... for a most luxurious home theater experience. 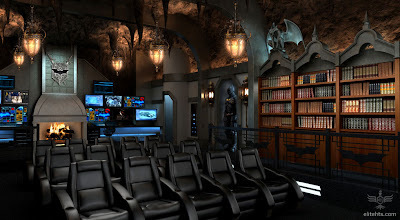 We all know how impossible it can be for a real-life Batman to show up (one every 25 million years, according to Ryan North's hilarious comic strip) but you can most certainly be a Bruce Wayne if you got the fortunes to flaunt. 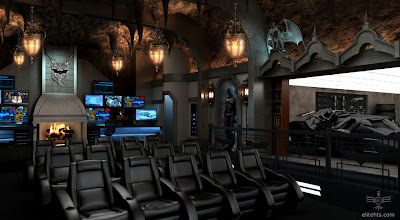 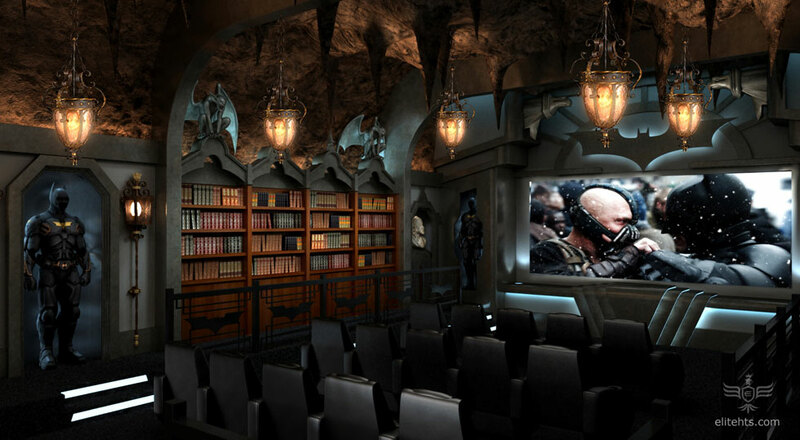 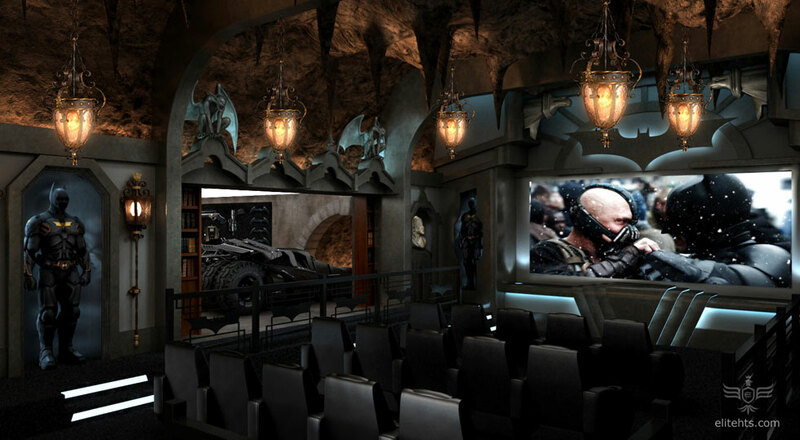 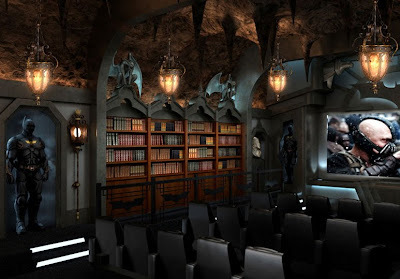 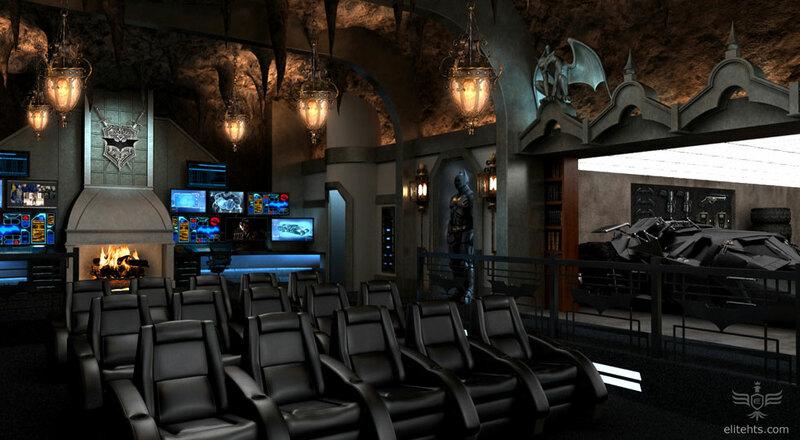 To fulfil the fantasy of any filthy rich "eccentric billionaire" wannabes, Elite Home Theater Seating, a company providing deluxe seats for "elite" home theaters, has come up with an out-of-this-world concept for a real-life Batcave-themed home theater. 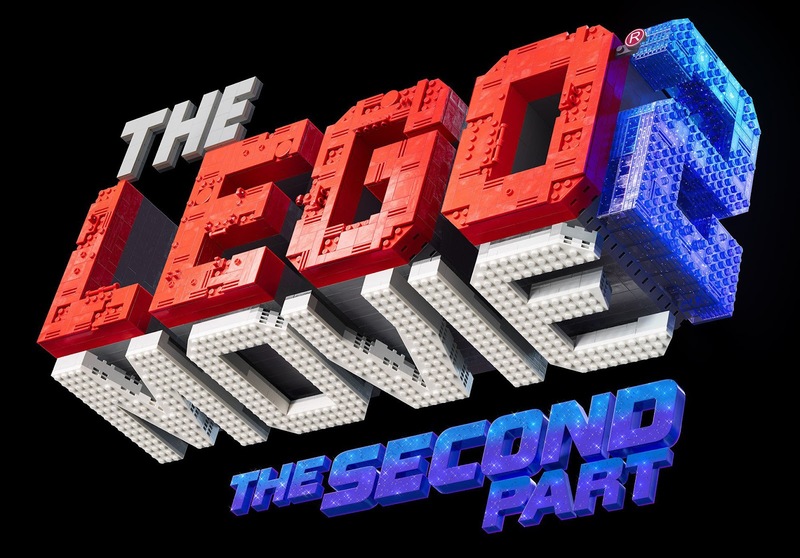 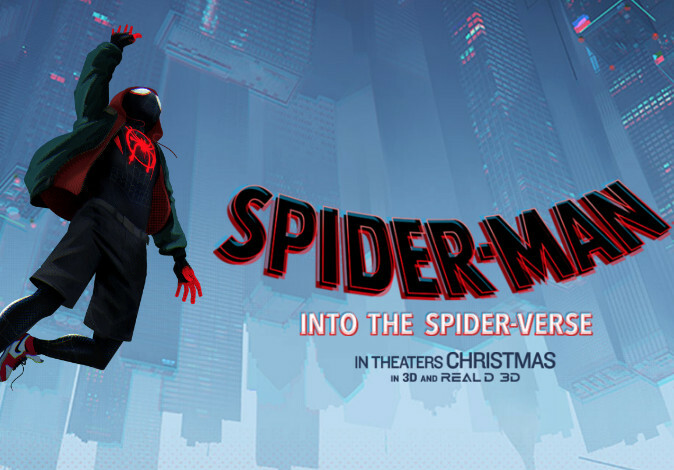 Hit the jump to check out the rendered images of the admittedly cool design of the The Dark Knight Theater, complete with gargoyles statues, bookshelves that reveal the Bat Tumbler, and some nifty display of Bat costumes and weapons.